Roof damage happens to everyone’s property at some point. Even the best materials with the most expert installation will weaken over time. Therefore, the older a roof is, the more likely it will need some repair. At Baker Roofing & Construction Inc., our priority is to ensure the highest quality repair for your home’s roof. Not all roofing problems may be noticed immediately, so continuing damage could be occurring without the homeowner’s knowledge. That is why it is important to have an experienced roofing professional inspect your roof, especially as it ages, to find any problems. If any issues are discovered, repairs should happen quickly. Baker Roofing & Construction Inc. provides a free, comprehensive inspection and estimate to the homeowner. 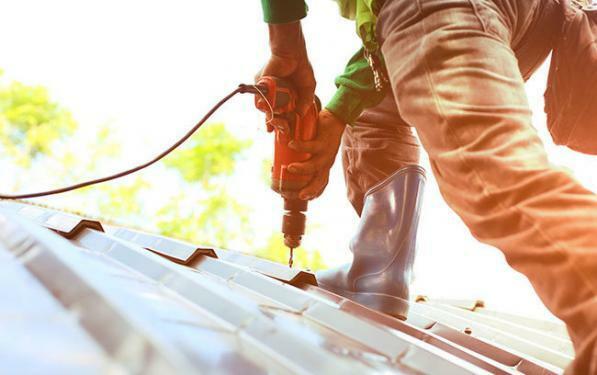 Roofing issues are common in the North Texas area due to extreme heat and severe storms. The most common problem reported is roofing leaks. When a Baker Roofing & Construction Inc. repair specialist comes to your home, all aspects of the roof will be inspected. This will include roofing materials, underlayment, vents, chimney, valleys, skylights and gutters. Repairs will be completed quickly and efficiently, plus, Baker Roofing has experts available to deal with insurance concerns. Baker Roofing will look out for the homeowner to ensure a full repair of all damage. Types of repairs can vary from minor to large scale structural restoration. 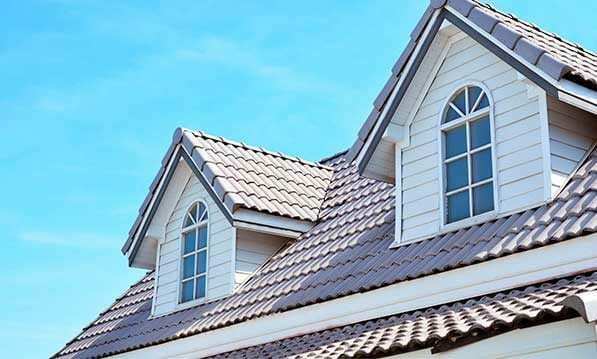 Baker Roofing is prepared with specialists for all types of roofing materials and roofing repairs. Hail Damage – All types of roofs are susceptible to hail damage, but not only the roof. Skylights, vent hoods, gutters and chimneys often have damage as well. Damaged and Missing Shingles – This is an obvious sign of damage, allowing the roof to be at risk to further damage and deterioration. Roof Leaks – While a leak sounds obvious, many go undetected. Often when a leak is seen, the spot where water is entering the home may be trickier to discover. When there is a leak, mold growth is also a concern. Roofing Dark Spots – Dark spots can be that mold has penetrated the different layers of roofing material. The integrity of the roof should be assessed. Felt and Sheathing Damage – Felt and sheathing are the underlayments of a roof and are a needed layer of protection. If damage is found here, repairs are crucial. Baker Roofing & Construction Inc. is an experienced roofing company that has a trained and skilled team to handle any and all roof repairs for your home. From the smallest problem, such as a few missing shingles, to the large structural repairs, Baker Roofing has what you need. We will inform you upfront what your roof repair will cost. Baker Roofing will prepare the construction site, protecting your home and landscaping. The repairs will be done with expert knowledge, quality workmanship, and premium materials. We guarantee a roofing repair that will meet and exceed each homeowners’ expectations. Our knowledge and skill-set separate us from the competition. To get your roof repairs completed right the first time, Baker Roofing & Construction Inc. is the trusted roofing company to call.